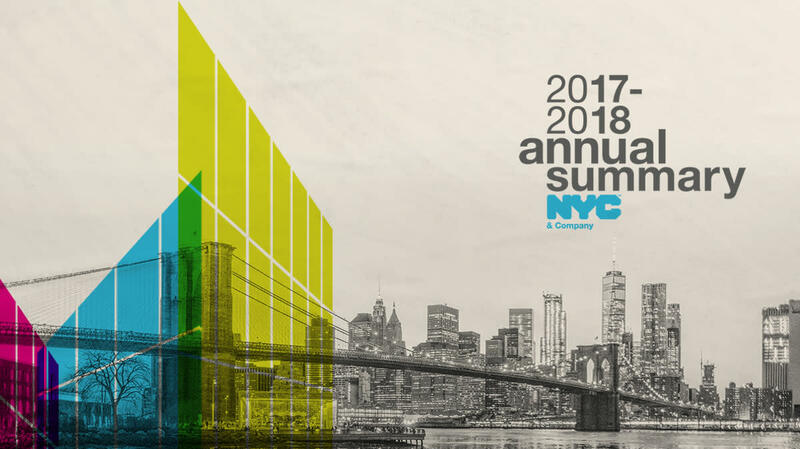 On March 20, 2018 the NYC & Company community gathered at Lincoln Center to reflect on the challenges and triumphs of the past year. The takeaway was clear: New York City is the world leader in openness—and when 2017 put that to the test, we passed with flying colors. Below you’ll find two films from the event—a recap of the year and a celebration of our community—as well as the official 2017–2018 Annual Summary. By any measure, 2017 was remarkable. See highlights below. NYC & Company&apos;s success wouldn&apos;t be possible without the assistance of our members and partners. Here are just a few New Yorkers welcoming the world to NYC. Read our latest report, featuring NYC travel and tourism trends and the latest outlook for the year ahead.